The United States is committed to building a strategic partnership with Iraq and the Iraqi people. Under the Strategic Framework Agreement between Iraq and the United States, we remain dedicated to helping Iraq improve security, maintain sovereignty, and push back against terrorism, most recently ISIL. 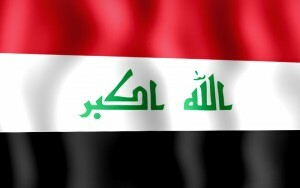 U.S. security cooperation activities are increasing the Iraqi Security Forces’ capability to respond to threats and conduct counter-terrorism operations, while supporting the long-term development of a modern, accountable, and professional Iraqi military capable of defending Iraq and its borders. In the fight against ISIL, the United States continues to work with our coalition partners along multiple lines of effort to degrade and ultimately defeat ISIL. Our strategy requires a well-equipped and trained partner on the ground. We have seen that with effective training, equipping, and command and control, and backed by Coalition firepower, Iraqi forces, including the Kurdish Peshmerga, have achieved clear victories on the battlefield in Tikrit, in Baghdadi, in Haditha, at Sinjar Mountain, at Rabiya, at Mosul Dam and now as they are isolating ISIL in Anbar as they prepare to move on Ramadi. We are seeing successes in this fight but, as we’ve said, it will take time, and the Iraqi Security Forces will need our continued assistance and partnership to achieve victory in this fight. • Since 2005, the Department of State has approved more than $18.6 billion worth of Foreign Military Sales (FMS) with Iraq. The Iraqi Government has financed the vast majority of these government-to-government transfers of military systems and equipment using their own national funds. Iraq values the FMS system because of its transparency and reliability and uses its own funds to purchase a wide range of U.S.-origin military equipment, demonstrating Iraq’s commitment to building a strong and enduring U.S.-Iraq defense and security relationship. • Recent Iraqi FMS purchases include 3,300 Hellfire missiles; 31,000 2.75-inch rockets; and over 30,000 120mm tank rounds. Other Iraqi FMS purchases include 146 M1A1 Main Battle Tanks; 36 F-16 fighter aircraft; 24 IA407 helicopters; and 9 C-130 cargo aircraft. Additional transfers of U.S. equipment, training, and support have been funded through other U.S. security assistance programs, including Foreign Military Financing (FMF) and Excess Defense Articles (EDA) grants and Presidential Drawdown Authority overseen by the U.S. Department of State; and Building Partner Capacity grants administered by the U.S. Department of Defense in the form of the Iraq Security Forces Funding (ISFF) and the Iraq Train and Equip Fund (ITEF). • Iraq’s FMF program began in 2012 following the end of the ISFF program, which ran from 2005-2011. Since then, Congress has appropriated $1.6 billion in FMF funding for Iraq. These funds were originally intended to build up Iraq’s long-term sustainment and logistics capabilities, and for Iraqi Security Forces (ISF) professionalization and other essential training. • Starting in 2014, as ISIL moved into Iraq, portions of FMF funding were redirected to urgent counterterrorism requirements, including critical resupply of Hellfire missiles, 2.75-inch rockets, tank ammunition, small arms/ammo, and individual soldier items. These funds were critical to the Iraqi effort to blunt ISIL’s advance while the Department of Defense’s Iraq Train and Equip Fund was being stood up, demonstrating the flexibility and speed of Department of State security assistance programs. FMF also allowed Iraq to purchase body armor, transport and refurbish Mine-Resistant Ambush Protected tactical vehicles (MRAPs) provided under EDA, and funded contract logistics support for systems critical to the counter-ISIL fight, including M1A1 tanks and Cessna attack aircraft. • For the fight against ISIL, in addition to over 300 MRAPs, the United States has granted Iraq numerous systems under the EDA program, including Armored Tactical Vehicles, Howitzers, OH-58 helicopters, soft-skinned High-Mobility Multipurpose Wheeled Vehicles (HMMWVs), and individual body armor. • In 2014, the President used his drawdown authority to grant Iraq $25 million worth of defense articles and services directly from U.S. defense inventories. Drawdown was used to provide urgently needed counter-IED equipment, including 326 Bangalore torpedoes; 200 anti-personnel obstacle breaching systems (APOBS); 1000 AT-4 anti-tank weapons systems; 50 MaxxPro Plus MRAPs; 50 MRAP mine rollers; and 50 mine roller kits. • In FY 2015, Congress appropriated $1.6 billion in Iraq Train and Equip Funding (ITEF) to provide assistance to military and other security services associated with the Government of Iraq, including Kurdish and tribal security forces and other local security forces with a national security mission. The Department of State works closely with the Department of Defense to ensure ITEF execution supports overall foreign policy objectives. • Materials provided under ITEF as of August 6, 2015, include over 1,200 military transportation vehicles, approximately 20,000 small arms and heavy weapons; 2,000 additional AT-4s; Counter Improvised Explosive Device (CIED) equipment, including 200 additional APOBS, 20 Mine Clearing Line Charges (MICLIC), as well as 29 Iraqi Light Armored Vehicles (ILAVs). • Through over 100 airlift missions and in coordination with the Iraqi government, the coalition has provided to Iraqi Kurdish forces more than 8 million pounds of ammunition and equipment, including small arms, machine guns, mortars, radios, and vehicles donated from more than a dozen countries. Many of the U.S. contributions were purchased using ITEF. • Through ITEF, the United States has also trained more than 2,000 Iraqi Kurdish Forces and currently several hundred more currently training at the Erbil Building Partner Capacity site. Units trained under this program will receive the same weapons, vehicles, and equipment as the Iraq Army forces: including small arms, mortars, HMMWVs, cargo trucks, trailers, and radios. The United States stands with a coalition of more than 60 international partners to assist and support the Iraqi Security Forces to degrade and defeat ISIL. U.S. security cooperation has contributed to Iraq’s significant progress in halting ISIL’s momentum and in some places reversing it.